I hope this post finds you well in Wichita. I thought I'd write about my day. Picked up Seth (and his oblong orange balloon) from Kindergarten. Took him home. Went inside Page's house. 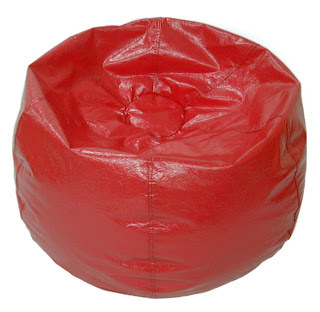 Collapsed on the red Love Sac. Vivy brushed my hair with a massive orange-hair-entangled brush. Slept for another three hours. Threw up the banana, ice and cherry tomatoes. Wanted to throw up dinner, but asked myself kindly not to do that. Talked to my brother Steve while he changed his clothes, he hath no shame. My Dad gave me a blessing. The Chief has the hiccups.